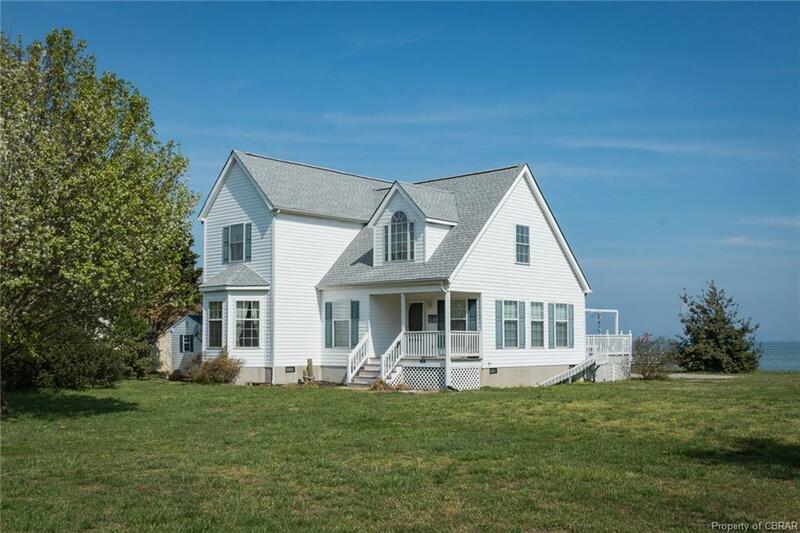 This lovely beach cottage features an open floor plan with lots of windows for natural light and beautiful, wide views of the Potomac River. This layout is great for entertaining and opens to a large waterside deck. Relax on the deck or walk out to play on the sandy beach. A private master bedroom suite is conveniently located on the main level. There is also a half-bath off the kitchen and a separate laundry room. Upstairs are two guest bedrooms with a bathroom between. There is an upstairs bonus room which could be used for a game room, office/den, or kids' playroom. This is a great home for year-round living and is also great for weekends/vacations for family and friends at the beach! Directions: From Kilmarnock, Take Va-200 N. Turn Left Onto Us-360w. Turn Right On Avalon Rd (St Rt 604) Which Becomes Newmans Neck Rd. Continue To The End. Turn Left On Potomac Drive. House Is On The Right.